JetCooker Troubleshooting - Hydro-Thermal Corp.
Have you ever experienced hammering or vibration with your Jet Cooker? Did you know that Hydro-Thermal has a team of experienced technicians and application support ready to answer any questions you have about your Jetcooker? Give us a call at 262-548-8900 to learn how to fix any heater issues that you are experiencing. Remember, if you fix an issue now, then you may avoid a larger problem down the road. One issue that comes up occasionally is vibration or hammering. Here are a few of the most common causes of vibration or hammering and how to fix them. Please note that these tips are specifically for our liquefaction/slurry mash heater. Proper Steam Conditioning with a steam dirt/drip leg. Y-Strainers can also be used to remove large sediment in the line prior to our heater. Cause 2: Discharge Lengths after our heater. 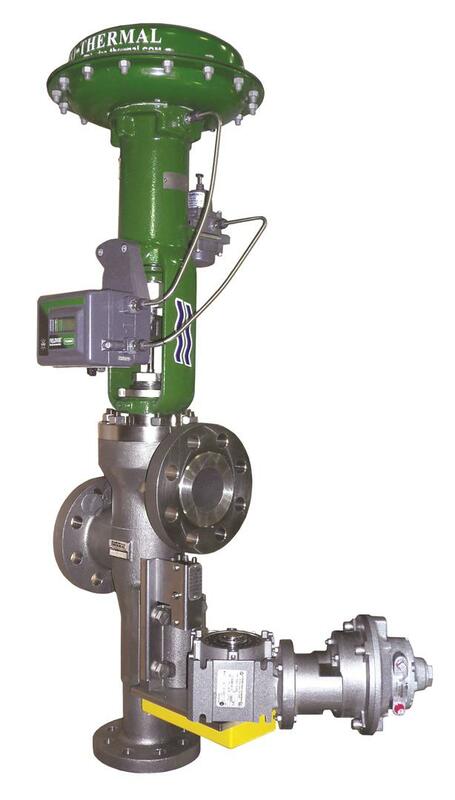 Our Combining Tube (CT for short) is an effective and robust mixing chamber for gaseous steam and liquid slurry mixing, but it is not always enough to condense all of the steam. Steam that condenses downstream of our heater will pull in pockets of water/mash to fill the void, and create mini-hammering zones. This can wear down your equipment or erode elbows at a faster than normal rate. Hydro-Thermal recommends 10 discharge diameters after our heater before any equipment or pipe reductions/bends. Cause 3: Saturation Temperature/Pressure is exceeded at the discharge of our heater. This can become an issue if you are heating to temperatures above 212˚F (boiling point), and you are not really monitoring your discharge pressure. Our suggestion; break out your steam table. The back-pressure at the discharge of our heater should have enough pressure to exceed the point where steam cannot be condensed into liquid form, given your discharge temperature information also. Cause 4: Steam Pressure is too close to discharge pressure. This is probably the causation we see least with our liquefaction heater application, but it is worth an honorable mention. If your discharge pressures are reasonably high in comparison to your steam pressures, the steam velocity will start to slow down. Not only will this cause our steam valve modulation to open up more to compensate for the lower steam velocity, the steam also does not mix as well into your slurry at lower velocities. This can be a source of vibration if pockets of steam are allowed to form before condensing and causing mini-hammering zones. The rule of thumb is that your steam pressure should always be at least two times greater than your discharge pressure on your slurry line of the Hydroheater. For example, if the discharge pressure is 50 PSIG, you should have at least 100 PSIG steam pressure at our heater’s steam inlet. Please note that the steam pressure off the boiler header doesn’t matter, only the steam pressure at our heater. Are you experiencing a heater issue or have a question about operating or maintaining your heater? Give us a call at 262-548-8900 or contact us here. Otherwise, learn more about our maintenance services here so you are ready for your next shutdown.